In the "Scrum from the Trenches" blog post series I like to address topics that I encounter in practicing Scrum in the real world, with real Scrum Teams. Sharing where theory comes into practice, what challenges teams encounter along the way and ways to help Scrum practitioners use the power of empiricism to overcome these challenges. This tiny bit of text contains a lot of useful information that can guide you. In this article I'll provide you with some guidance and practices. The Scrum Guide (deliberately) does not tell you how to refine your product, because there are many practices to do so. Although the explanation is limited, it becomes clear that Product Backlog refinement is a summary of all activities that relate to Product Backlog items. For this reason, Product Backlog refinement is not a time-boxed Scrum event. Because all time-boxed Scrum events have a specific sequence within the Scrum framework, Product Backlog refinement does not. It cannot be captured within those constraints. And more so, restraining it within a time-boxed event will not make this activity effective. This constraint is something a lot a Scrum Teams I work with struggle with: the "Refinement Meeting". Often, Scrum Teams come together once per Sprint, or once per week to have their "Refinement Meeting". The Product Owner shares what Product Backlog items (PBI) need to be refined and the whole team discusses them. After the discussion (which can take a long time and often involves only a few), the planning poker cards are drawn to give an estimation to the PBI (Product Backlog Item). Discussions on effort are often held because of the fact effort has to be given to a PBI and is not held because of gaining more insights. Again, it may not be a dysfunctional meeting by default. Often teams need to gather to share insights and discuss effort to be able to empirically discover the work that can be handled. But it's something that I come across on a regular basis. The first step is to realize Product Backlog Refinement is not a meeting, but a series of different activities. Meetings can be included. 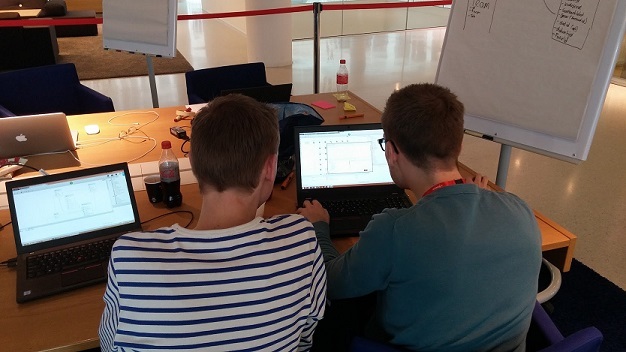 The Scrum Master: ensuring feedback and empiricism throughout these activities. Let's look at different activities that might be helpful in regards to refinement from the perspective of the different Scrum roles. If you're a Product Owner working on a product, Refinement starts with having a vision for this product. Start with the "Why" of the product before anything else. Make sure you are transparent about this vision, talk about it all the time, with the team and all your stakeholders. As a Product Owner, you have authority and responsibility over the Product Backlog. Every activity that affects the state of the Product Backlog can be seen as refinement. From the very early stages of product development, setting out a vision, strategy and projected impact of your product, to the Development Team estimating Product Backlog items that can be selected for the Sprint in a Sprint Planning. Setting out goals to achieve. Often I encounter members of the Development Team that complain about the information stored in Product Backlog items. They say: "There is far too little information to be able to code this! ", ...or... "There is so much information in this PBI, I can't make sense of this!". There is a lot to be said about quotes like this, but maybe you recognize this behavior. A lot of this behavior can be related to the fact that the Development Team does not feel ownership on Product Backlog Refinement activities. In these specific cases, that I encounter on regular basis, I explain that there is a different need for information by different people. Not only between roles, but also between people having the same role (i.e. Development Team member). I tell them this is normal and easy to solve. If you have too little information to go on: obtain and record the information you need the way you want. Make sure though it's understandable and usable for others as well. If there is too much information the solution is likewise: have a conversation with the person who recorded the information and find out what's needed or may be adjusted. The key here is that the Product Owner is not the only person responsible for refining the Product Backlog. Slicing large PBI's up into smaller functional units of work. The biggest challenge for the Scrum Master in Product Backlog Refinement is to make sure everyone understands the challenges of refinement. The most important first step in this is to create transparency on all levels and teach where needed. In the example of the Development Team members wanting more information, it could be, besides having a one-on-one chat on the spot, to organize a mini-workshop on Product Backlog refinement to explain everyone's role and making sure the shared responsibility is understood. 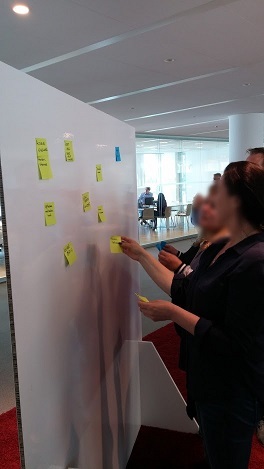 Also, the Scrum Master can help in the facilitation of all kinds of activities mentioned already in this article to help everyone focus on their role. Help the Development Team in slicing PBI's in various ways, while still being able to deliver a "Done"-increment within the Sprint. This article on Product Backlog refinement shows that Refinement is more than just a meeting where the whole Scrum Team is having a discussion. It requires and involves everyone with shared and special responsibilities. It's easy to lose sight of the importance of Product Backlog refinement because of your focus on the Sprint. But making time for healthy Product Backlog Refinement makes way for an awesome collaboration and teamwork, building a product that customers really enjoy!